Woodridge All Makes Collision Centre has been serving Calgary and surrounding areas since 1987. Formerly Woodridge Auto Body, it was established by Wood Automotive Group to offer yet another automotive service to our valued customers. After over 25 years of serving our customers we have moved locations to offer a new 27,000 square foot, state-of-the-art auto body repair facility, which is located in the Eastlake Industrial Park. With 19 dedicated technicians, our auto body facility is one of the largest, cleanest and most technologically advanced in the city. Our top-of-the-line equipment enables our expert technicians to get the job done with quality and speed, servicing all makes and all models of vehicles. Our auto body repair facility serves Calgary and area; Okotoks, Cochrane, Turner Valley, De Winton, and Airdrie. 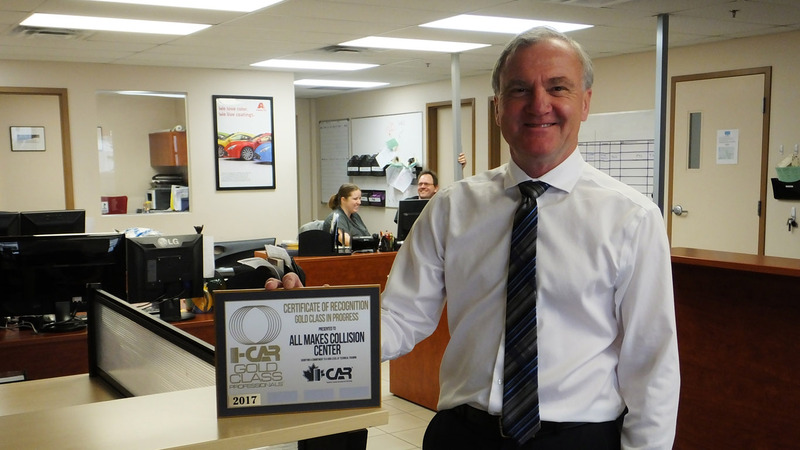 The Wood Automotive Group is under the leadership of Gerry Wood, and consists of Woodridge Ford Lincoln, Advantage Ford, Okotoks Ford Lincoln, Big 4 Motors, Village Honda, Cavalcade Auto Acceptance and Driverz Auto.